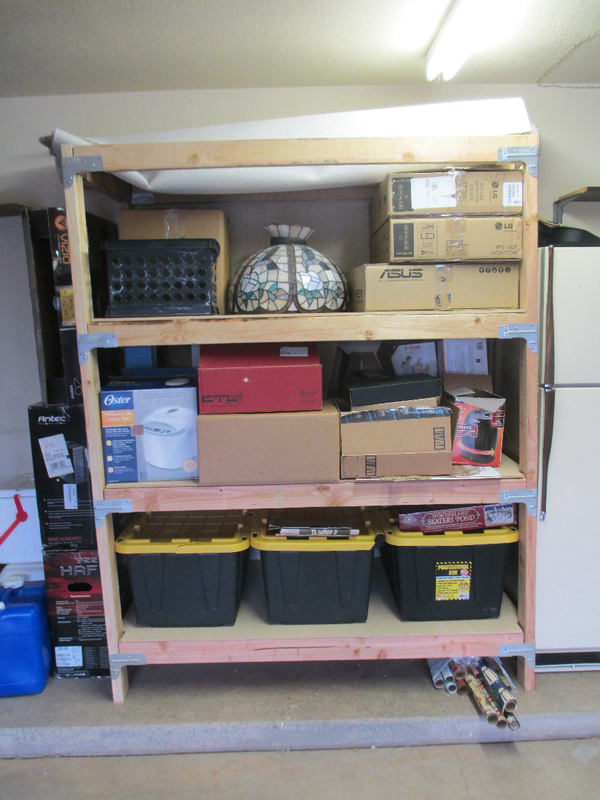 This post will be the last entry in a series detailing a weekend project I recently engaged in, which was the construction from scratch of some garage shelving. 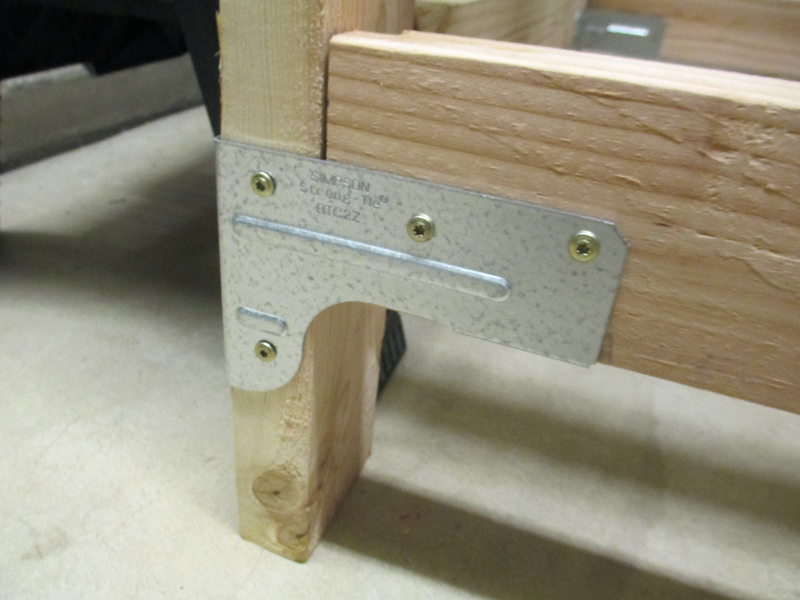 Furthermore, I expect that this series will be the first of many woodworking projects that I detail on this blog. Why, you may ask, am I writing about carpentry on a blog that has, up until now, been focused on computers and web development? I see this blog as focused on engineering, and woodworking is certainly a type of engineering! 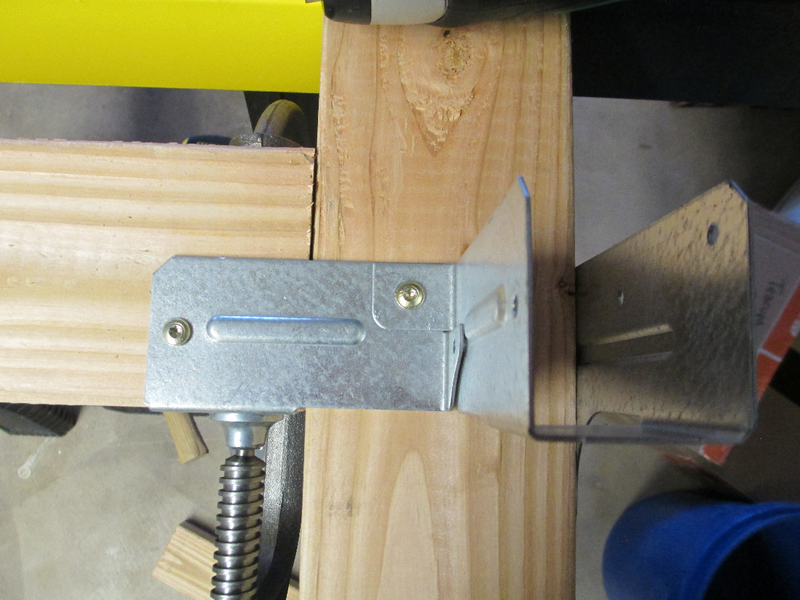 Furthermore, I think that there is a niche for amateur woodworking tutorials and I intend to fill that. 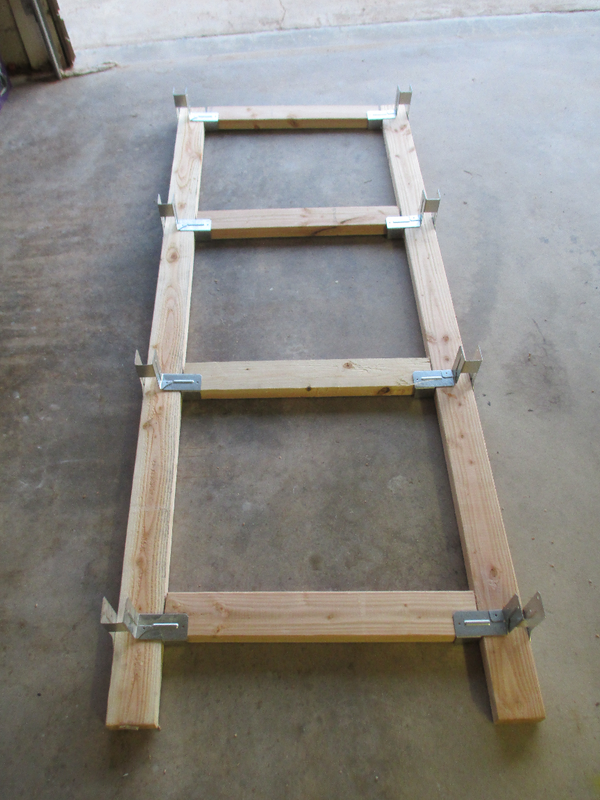 In Part 4 – Assembly, we are going to take the four posts with attached brackets, and attach them together with the crossbeams, thereby assembling the shelf. The major challenges here will be ensuring that the crossbeams attach properly and square to the posts. This may be difficult due to possible warp in the posts, but with the use of clamps we can mitigate that. 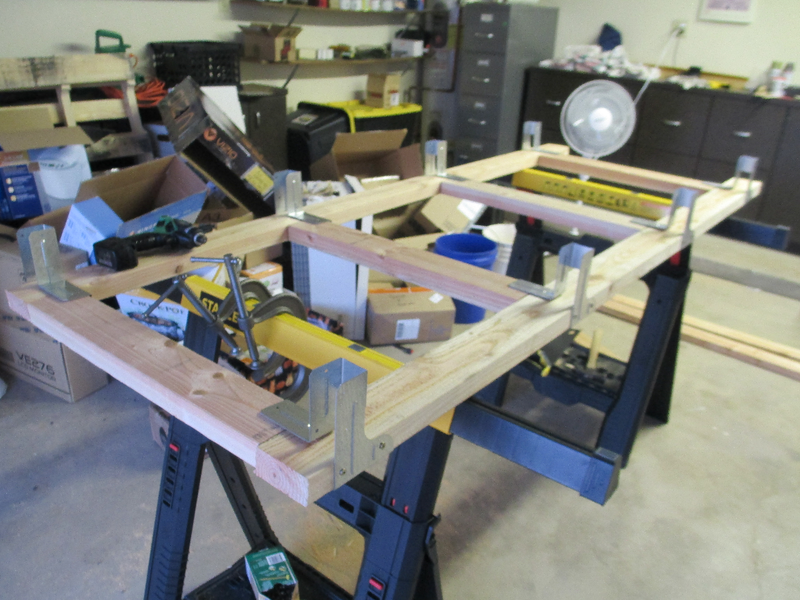 Once again we’ll need a screwgun and screws, along with c-clamps, and some sort of working surface, like a sawhorse. You should have four of these, two with the brackets oriented in one direction and two in the other. 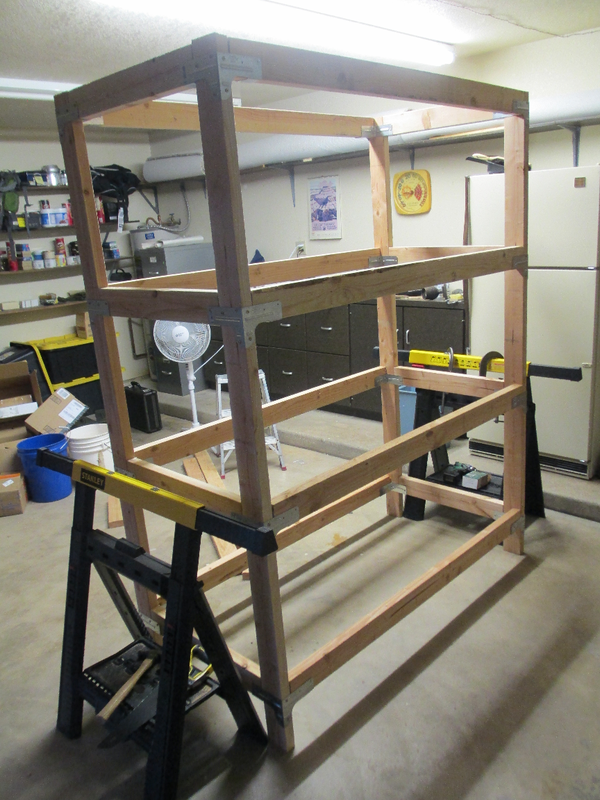 We’re going to begin assembly by attaching the crossbeams, and making four units into two. If you want to stand it up (it helps to have a second person if you’re going to do this) you can test whether the crossbeams are level – in other words, whether you installed the brackets properly. I did so and found that it was almost spot on, which I was happy with. Repeat the whole thing for the remaining two posts, and you’ll have properly installed the crossbeams. 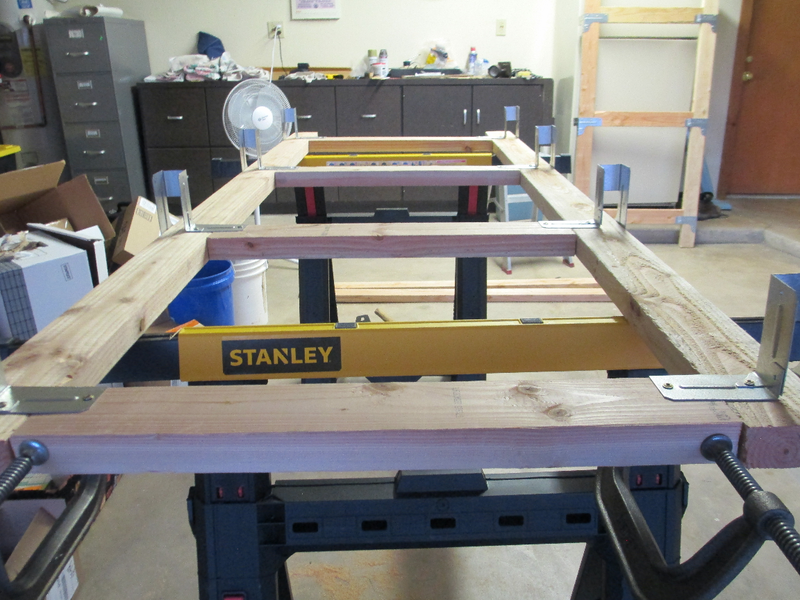 Next comes the more difficult part – attaching the long beams and completing the shelf. This is more difficult since the beams are larger. The sawhorses are helping keep the unit up, but once again you may want to have a friend help hold the thing. 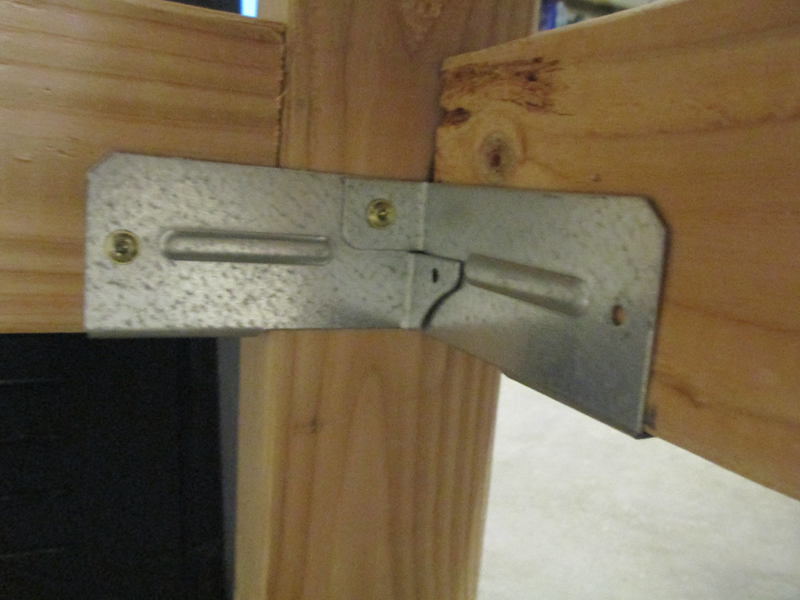 Just like with the short crossbeams, you will simply need to clamp and screw the long beams to the brackets. Pipe clamps may be useful here to clamp the thing together lengthwise (warp in the posts was a problem here for me, as you may notice in some of the photos). I didn’t have pipe clamps so I had do my best to seat the beams properly. 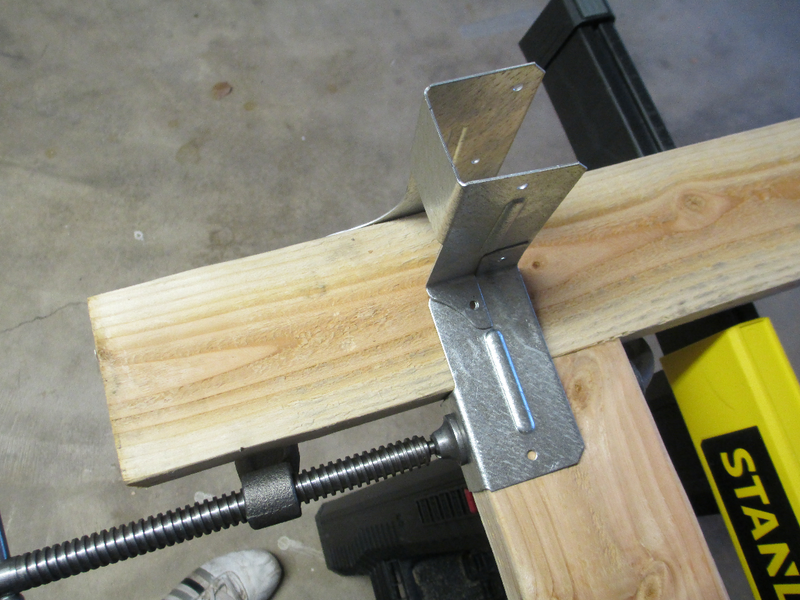 Ultimately, do what you can and don’t worry too much if there’s a beam or two that’s not perfectly seated. 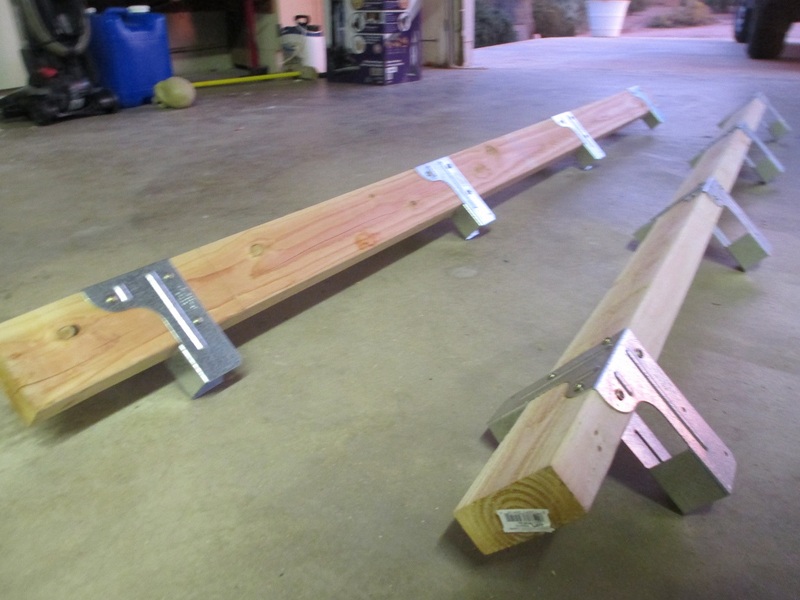 Once you’ve got it all screwed together, your shelf frame will be complete! 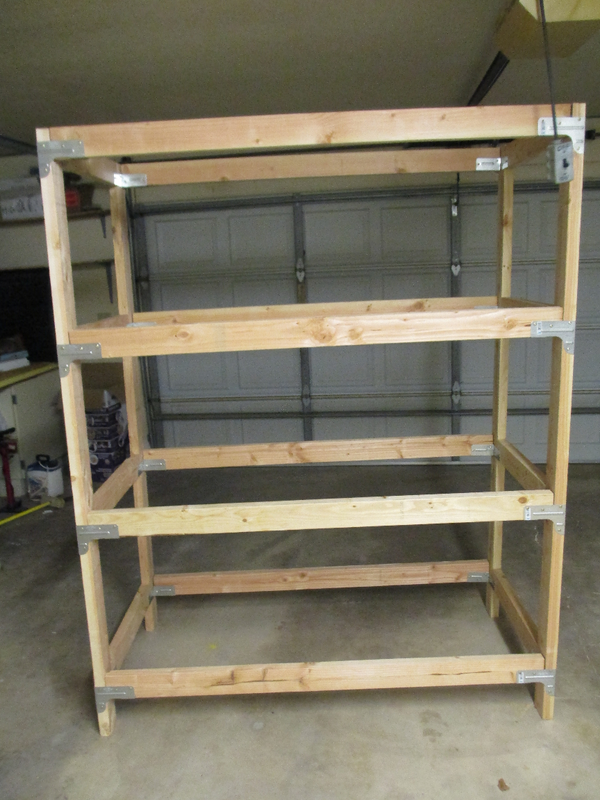 Now that we’ve got the frame standing, all that remains is to install the shelves, which fortunately is very easy. 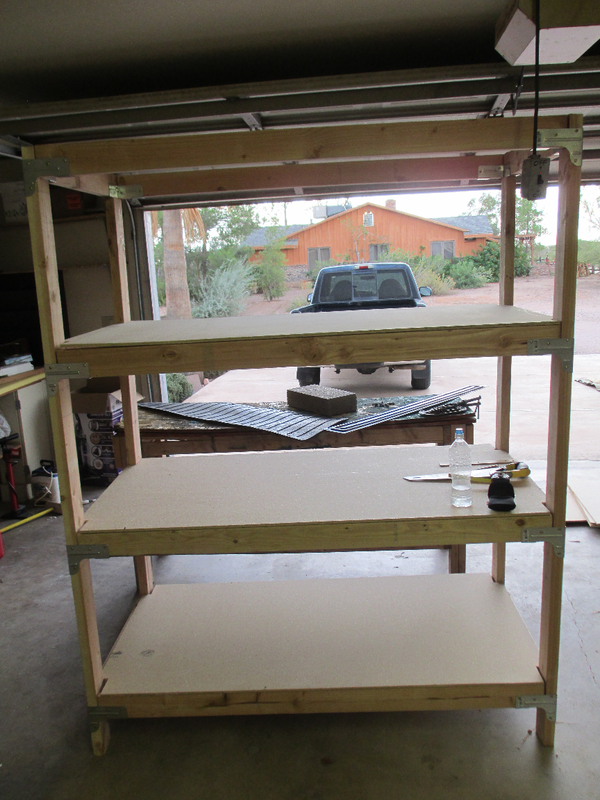 We built our shelving unit to have three individual shelves, plus the top. I didn’t add a shelf for the top, but you certainly could if you want to. 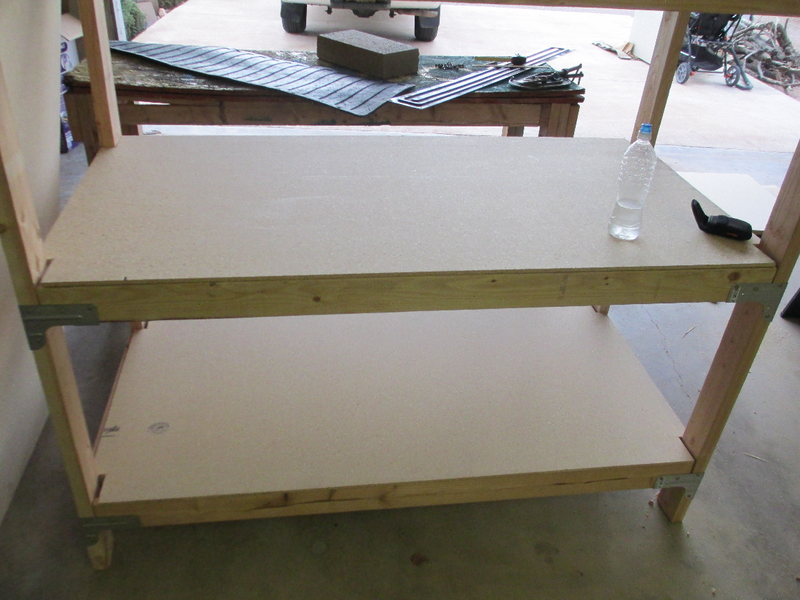 Due to the way the unit is built, we won’t actually need any nails to hold the shelves in place. 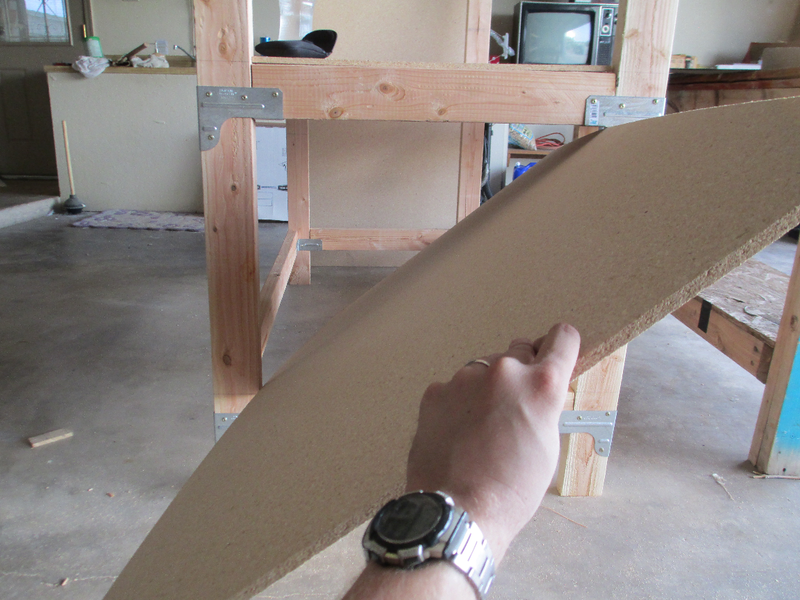 First, we’ll need three flat boards – plywood or MDF will do (I used MDF). 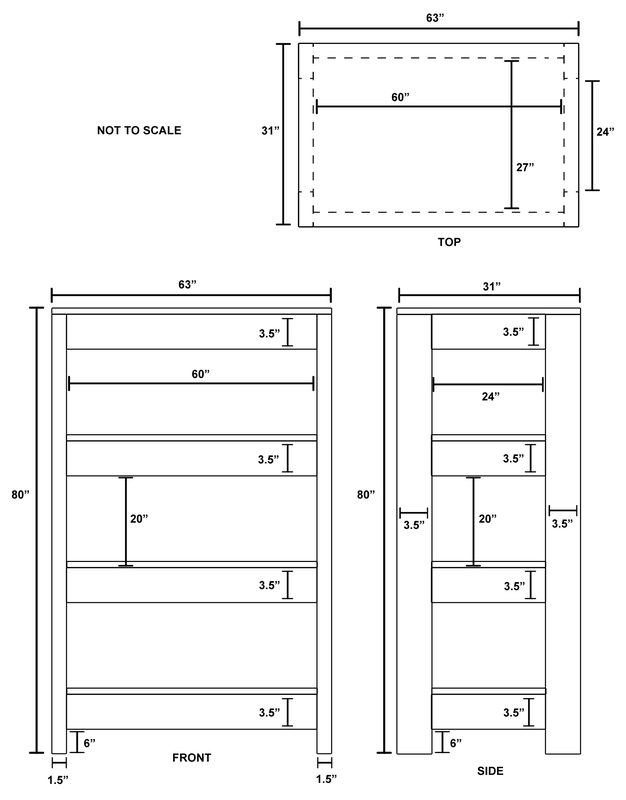 Each should be cut to 31” x 63”. Next, we’ll need to cut notches in all four corners for the posts. 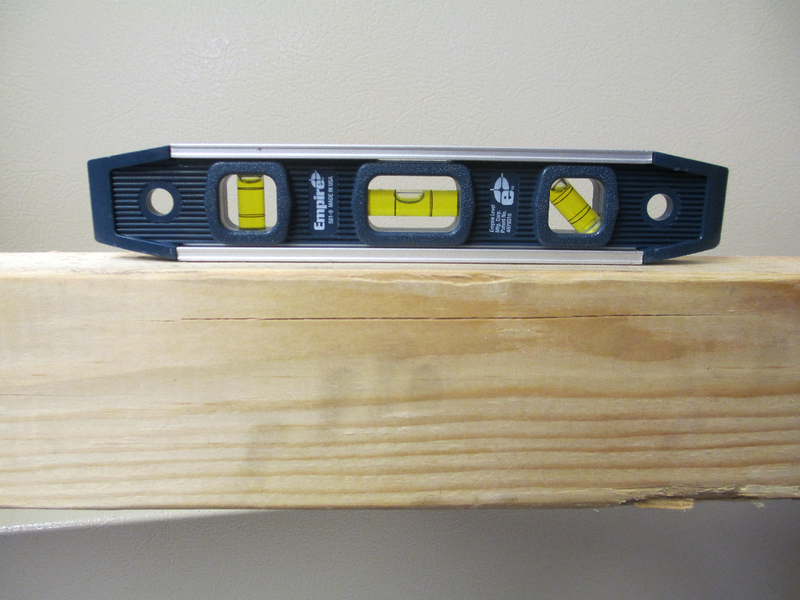 Each notch should be the same size of a post – 1.5” by 3.5”. Make sure you orient it correctly! 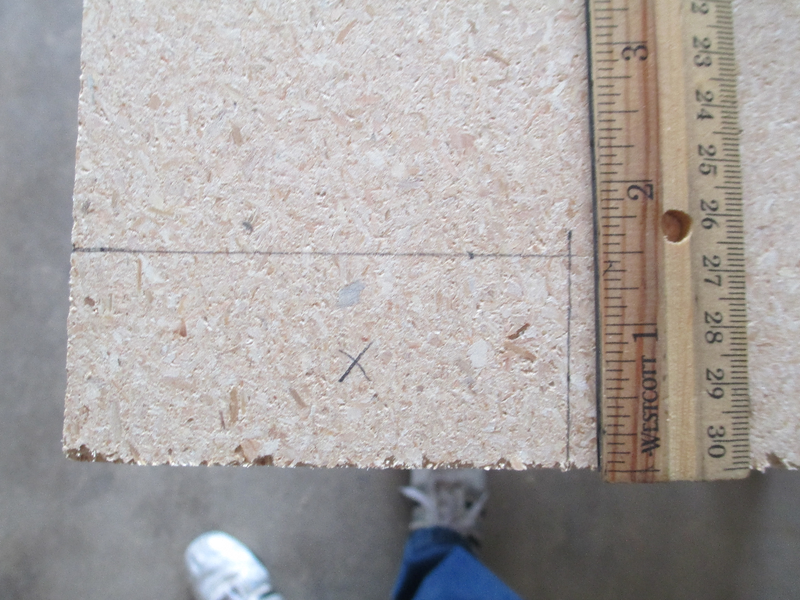 Cut out each notch like so, making sure you account for the kerf. Slide it all the way in and lay it flat against the crossbeams. As you can see, the posts hold the board in place, and no nails are required. 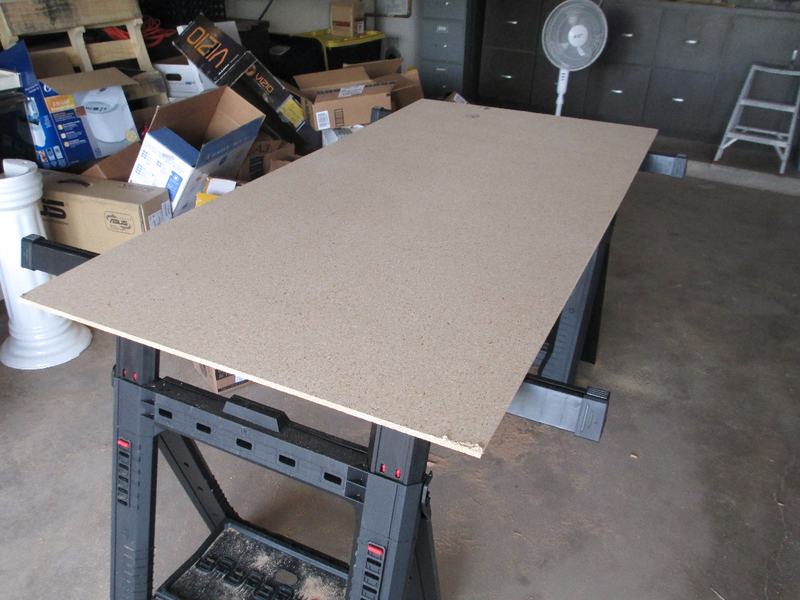 You may notice that my shelves aren’t quite snug in place – when I got the boards cut at Home Depot, the employee cut them an inch short lengthwise. A good reminder – measure twice, cut once. Add all three shelves, and you will be done! I am also very excited about the second goal. The concepts introduced in this series are applicable to many different projects, and I hope you’re able to go on and use them to build your own furniture as needed. Woodworking is a wonderful hobby and I plan to post more plans and guides on here in the future. Until then, best of luck with your projects, and remember: measure twice, cut once.